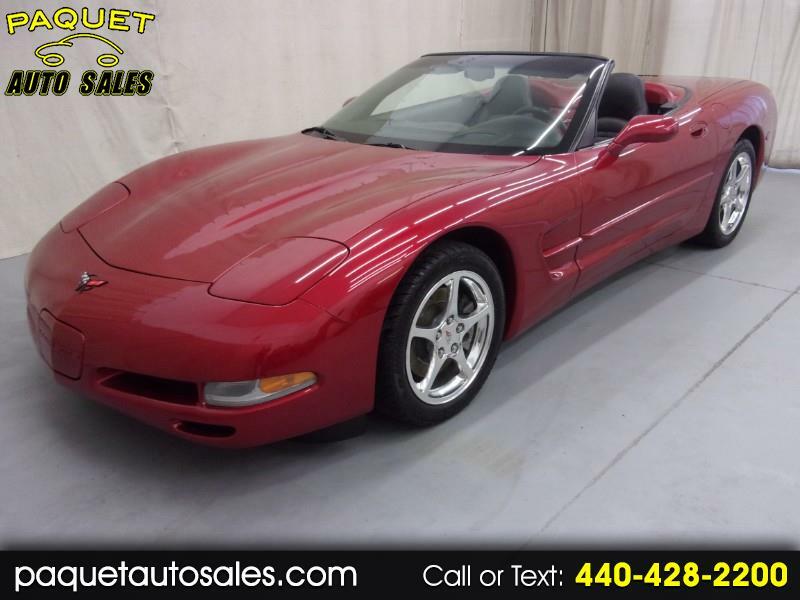 ONLY 20,475 MILES---6-SPEED MANUAL TRANSMISSION---5.7 LITER V8---CLEAN CARFAX REPORT---MANUAL CONVERTIBLE TOP---17" FRONT AND 18" REAR CHROME ALLOY WHEELS---HEADS-UP DISPLAY--- 2002 CHEVROLET CORVETTE in a red metallic exterior finish with black top, pop up headlights, dual exhaust with quad chrome tips, body color door handles and folding exterior mirrors, glass rear window with defroster, remote trunk release, keyless entry with multi-function remote. Very clean both outside and inside where you will find a black leather interior featuring powered bucket seats with Corvette stitching, center storage console with beverage holder, dual lit vanity mirrors, tachometer, air conditioning with dual climate control, CD player with Bose speaker system, tilt steering wheel, cruise control, carpet floor mat set, power windows, door locks and exterior mirrors. Fully inspected by our service technician. Detailed inside and out and ready for delivery. Stop in or call today and speak with one of our friendly sales staff with any questions that you may have.